The AXIS P3344-VE Fixed Dome Network Camera offers 1MP or HDTV 720p in compliance with the SMPTE standard in resolution, color representation and frame rate. Wide dynamic range and day/night functionality enable clear images both in daylight and in dark lighting conditions. 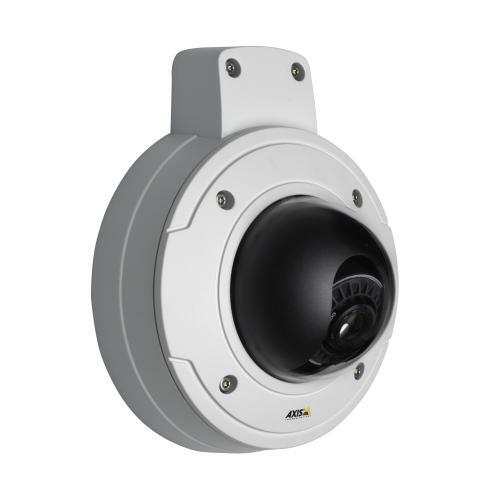 AXIS P3344-VE with its weather-proof and vandal-resistant casing, is a fixed dome perfectly adapted for harsh environments. The camera operates in -40 °C (-40 °F) to +55 °C (+131 °F), powered by standard Power over Ethernet (IEEE 802.3af) only. It is the perfect solution for video surveillance systems in areas with tough quality and efficiency requirements such as university campuses, railway stations and subways.